The fantastic success of the TV Show The Cube has led to the launch on The Cube Game, now you can play this game at home with your family. We have to say that the concept and thought behind developing this game is very impressive and sure to make it into the Top 100 games purchased in the run up to Christmas. The developers Fun Box Media have created a classic TV game emulator, that sports great game play and graphics throughout. The game challenges are the same as the TV show, so be sure to prepare for a great gaming experience, as if you were there live in the studio playing. The game is set to be launched into the public domain on the 9th November 2012, so make sure you either pre-order or get to your local game shot early on the launch day. 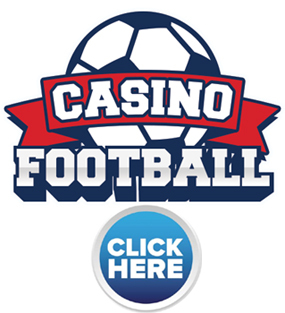 The game consists of 30 games as well as 10 challenges, ensuring that players wont get tired of the game too quickly, although we doubt you will, as this is a fantastic new addition to the gaming world, most especially when playing with friends and family. 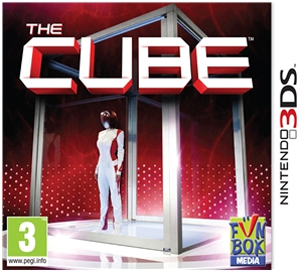 We have also compiled a Review System for this, of which The Cube Game is Rated as Five Stars, the highest possible score available from the Game Review Team. 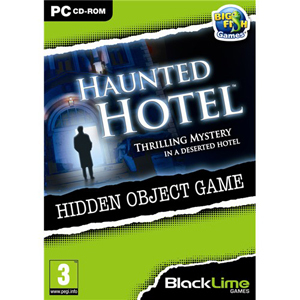 There have been many games based around haunted hotels over the years and we have reviewed many of them and because we have done this we are the perfect people to tell you that this haunted hotel game is definitely the best we have ever played. There are many TV Series games covering this type of Genre, however this game stands apart from the rest, with great game play and superb graphics to match. The story of the game goes as you begin the game when you wake up after a car crash on the side of a deserted road. Once you have freed yourself from the car you find yourself coming across a hotel which looks deserted but as you need somewhere to stay the night you look at booking yourself into the hotel. When you enter the hotel you quickly find that it has been deserted for a reason and thus begins the adventure where you need to solve the mystery of why the hotel is indeed deserted. As you work your way through the hotel you are faced with many different challenges and puzzles which by solving will lead you to the answer you are after. All we can say in addition to this is that the game is absolutely brilliant in every way with pin point graphics and stunning game play. This game is certainly worth adding to your collection if mysteries are your thing as you will not find a better game than this one for that purpose. We have compiled a Review System for this, of which this Haunted Hotel Game is Rated as Five Stars, the highest possible score from the Game Review Team. One of the most long awaited games of the past couple of years is nearly upon us as Star Wars 1313 takes fans of the series on one of the most realistic and entertaining games ever to come from this series and oh boy is this game good. The team at Game Reviews were lucky enough to attend a preview session of this game and what we saw astounded us as we have played all of the previous editions but this one is totally off the hook. The game thrusts players into the futuristic world where they are located on a small planet which is under attack from the galactic empire and you will be tasked with driving the evil forces off the planet and leading the rebellion against the empire as you attempt to drive them from the galaxy. The game is filled with cutting edge action scenes and one of the best story lines we have experienced in a game of this type and we have to say it is totally brilliant throughout. The graphics and game play are tremendous to say the least and after watching it in action we have to say we think this game will be a huge hit throughout the gaming world. 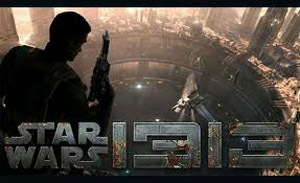 We have compiled a Review System for this, of which Star Wars 1313 is Rated as Five Stars, the highest possible score from the Game Reviews Team. Well we have been waiting a long time for this sequel to emerge and the wait was well worth it as this second edition of the game did not fail to deliver what we knew it would in any way, shape or form. One of the most iconic characters in video gaming returns for an all out bonanza of fun and excitement as once again Donkey Kong fights his way through countless levels as he attempts save the princess from certain doom. Donkey Kong Country Returns is retro gaming at its finest and with the much improved graphics the game has taken the next step of evolution and become a global phenomenon which we really enjoyed reviewing. The game play took us back to the early days of the Donkey Kong series where we would sit glued to the screen for hours at a time trying to beat out best score and we loved every minute of it. 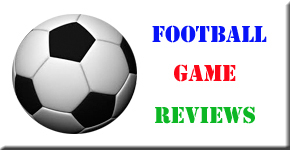 Great game all round and we are sure you will love it like the Game Reviews Team does. 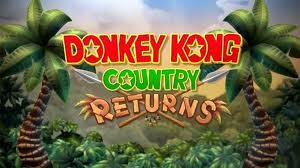 We have compiled a Review System for this, of which Donkey Kong Country Returns is Rated as Five Stars, the highest score possible from the Game Reviews Team. We all know about the Street Fighter series as this series of games have been at the top of ladder ever since they were first implemented into the various arcades and amusement halls in the early nineties. 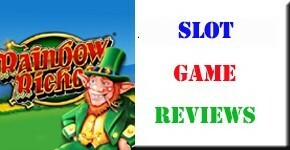 These games were so successful during the early years that we have seen many a game arrive at our doors promising to be much better than the last and in many cases this is true and this is certainly the case with this new game as it is absolutely brilliant and we loved every minute of reviewing it. Super Street Fighter 4 3D Edition features all the characters we have grown accustomed to as well as a host of new stars which make the game so much more interesting. The game keeps the tournament format which allows gamers to fight all characters on their way to destroying the evil M Bison and his minions. The graphics of this game are superb in every way and are such an improvement on the previous game with all new fight scenes and character details which we have never seen before. As always where this game excels is in its game play as it is highly addictive and very compelling and tests gamer’s skills completely as you work your way through the various fighting scenes and we have to say it gets the thumbs up from us. 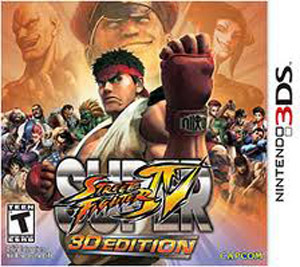 We have compiled a Review System for this, of which Super Street Fighter 4 3D is rated as Five Stars, the highest score possible from the Game Review Team. The long awaited Desperate Housewives game is upon us and oh boy is this one of the most interesting games of this type we have ever come across since we have been reviewing games. The game of course is a role play adventure game which is along the lines of the sims series as you lead the characters of the show through their every day lives. Players will need to lead their characters through many different daily tasks within their lives such as shopping and housework as well as all other associated tasks which is great fun to say the least. Desperate Housewives the Game has great graphics and some of the best game play we have seen in any game from this genre and this is why we love it completely. 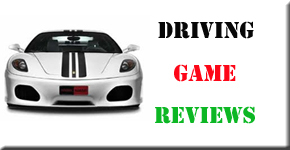 We have compiled a Review System for this, of which is Rated as Five Stars, the highest possible score from the Games Review Team.